This bowl looks like it came right off the wheel! 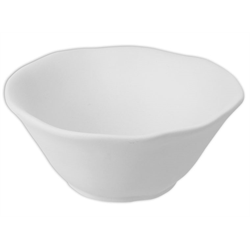 The Basal Bowl is a fun organic shape that has a ton of artistic potential! Want to create a whole dinner set? Pair with the Basal Dinner Plate and Basal Salad Plate!